BSP ports, 4 bolt flange, 1/8 taper key shaft, clockwise rotation and size options with various sizes from 4cc up to 30cc per revolution. 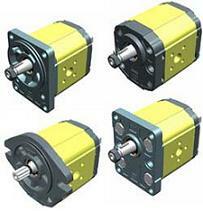 SAMT Hydraulics has extensive experience in the supply of hydraulic pumps, If you are looking to find a standard hydraulic pump, here at SAMT Hydraulics we have extensive access to both leading and niche hydraulic pump manufacturers from around the world. 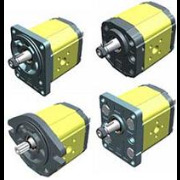 brands including: Rexroth Bosch hydraulic pumps, caterpillar hydraulic pumps, Eaton Vickers hydraulic pumps, Sauer Danfoss hydraulic pumps, Denison hydraulic pumps, Casappa hydraulic pumps.